Five challenges hoteliers encounter while developing a social media strategy and a few tips on how to overcome them. What should hotels post about? Find out tips about the neighborhood, event, etc. Rant or rave about a hotel experience. See/share photos of hotel, restaurant, pool, etc. Use social channels to tell guests information they cannot find on Google; keep it simple and personable. How much time should hotels spend on social media? Once you start setting up social media channels and managing them, you might quickly discover that it can be really time consuming. Some hotels start out strong and get burnt out through over-use and begin ignoring various accounts they’ve set up. Not only are there so many different channels, every channel requires a unique strategy. So, how much time should be spent on social media channels? Instead of focusing on time, try to focus on the effectiveness of your campaign. Choose your objectives and spend your time on channels that are helping your hotel achieve those objectives. And remember, you should always spend enough time to interact with people who chose to interact with you on your hotel’s social media channels. 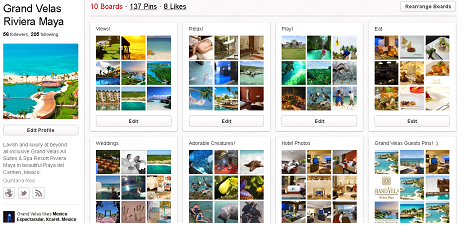 Which social network should hotels use? 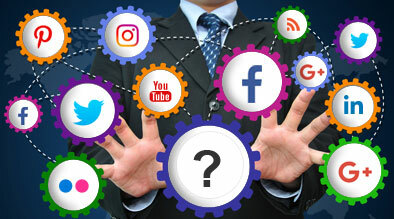 You’re starting your social media campaign and you don’t know which social media platform to use to successfully market your hotel. It can be an overwhelming task with all the options available today from YouTube to Facebook to LinkedIn and even Foursquare. Instead of jumping in and taking on all of them, take the time to think what your marketing objectives are. If you want to connect on a more personal level with your customers Facebook is the place for you, if you want to send short updates use Twitter, or if your hotel has beautiful scenery photos then you might want to consider using Pinterest and Flickr. How should hotels delegate social media responsibilities? If you don’t have the time or you are not sure how to use social media, you should ask someone at the property who might be more familiar with these channels to help out. Social media should be basic and simple enough to be doable by a front desk worker on an ongoing basic. Even though a front desk person can manage the accounts, hoteliers should support the work and answer customer’s questions. Hoteliers should also make sure the hotel’s branding is followed in all social media channels. If you feel like social media marketing takes too much of your time, or you need some help in creating a strategy, hiring an internet marketing company can be an option to help you get started on the right path. How should hotels respond to customers on Social Media? No matter how great your hotel is, there will always be someone expressing complaints on social media channels. However, how a hotel handles a negative review is more important than the complaint itself. A negative review is an opportunity not only to gain that customer back, but also show other potential guests that the hotel cares about its customers. So, what should you do if your hotel gets a bad Tweet or Facebook wall post? Act quickly, show empathy, and offer to make things right. In conclusion, social media can be a challenging job for hotels. Following these tips will help you get the right social media plan in place and execute a successful strategy.